Sheaves are used in short and/or low loaded conveyors instead of terminal drums. Sheaves are mounted on standard shafts in both drive and tension ends. With sheaves is it also possible to track steel belts with a true-tracking rope (V-rope). 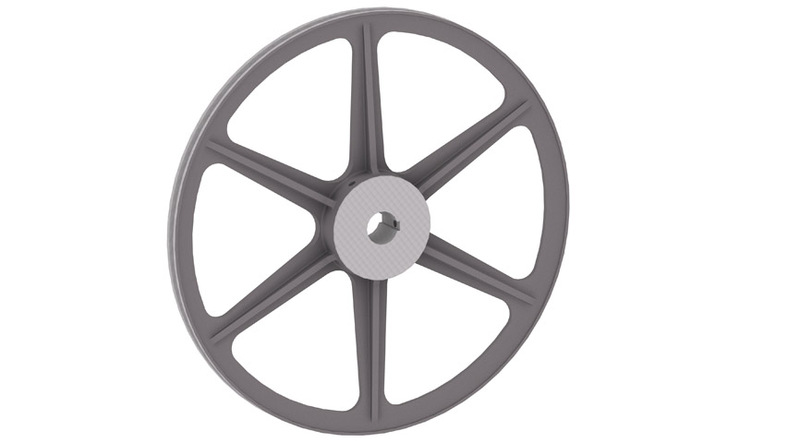 The tension in the belt is limited by the sheaves to 7 MPa and the pulling force must not exceed 2 500 N for grooved sheaves and 1 250 N for other rim designs.